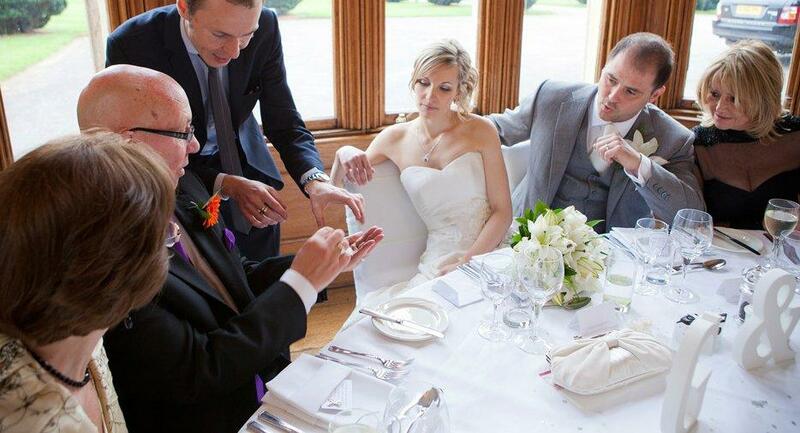 Martyn is one of the country’s most popular close-up magicians, performing regularly for many high profile clients at parties, weddings and corporate events worldwide. In the UK he has performed for over 85% of the FTSE 100. 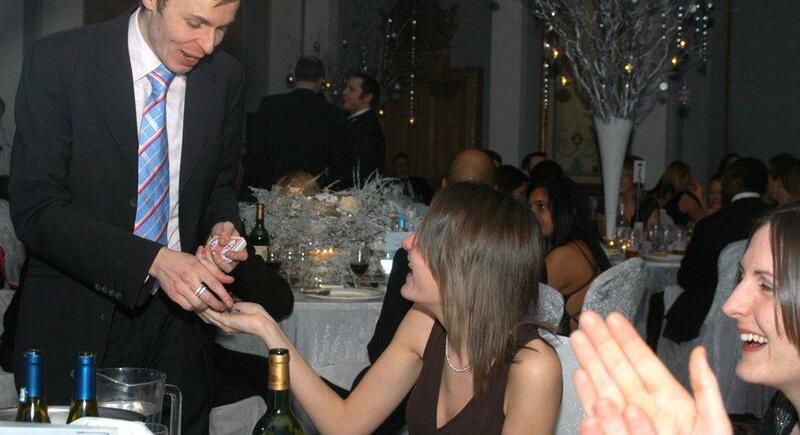 Martyn is a member of The Magic Circle, and was the winner of their Originality Award, so you can be sure he will present something amazing as well as different at your event. His unique style is light hearted and unassuming, but his magic is mind blowing. 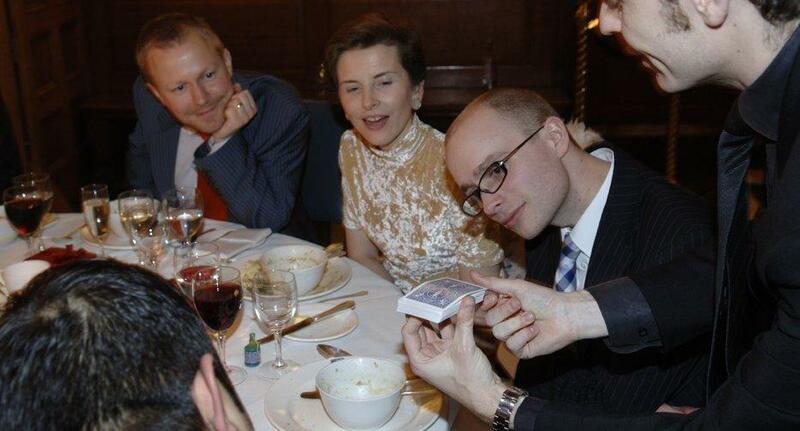 Martyn has been performing magic full time for 10 years and has had the pleasure of performing at Buckingham Palace, Downing Street and the House of Lords. 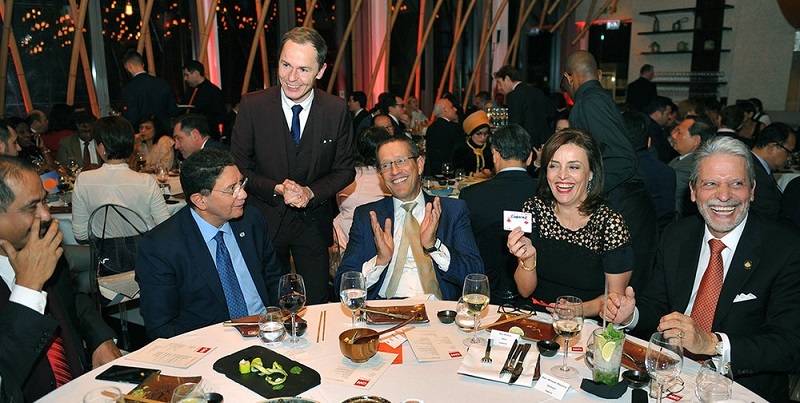 He is currently the resident magician at Wembley Stadium, performing at all high profile events including FA Cup Finals and all England home games. As well as performing live, Martyn’s creative skills are also in demand as a magical advisor for TV and films. His credits include ‘The Illusionist’ with Edward Norton, Roman Polanski’s ‘Oliver Twist’, and 26 episodes of award winning Austrian TV magic show ‘Trick Fabrik’. Brilliant, thank you! Martyn was excellent and went down really well. Martyn was excellent. 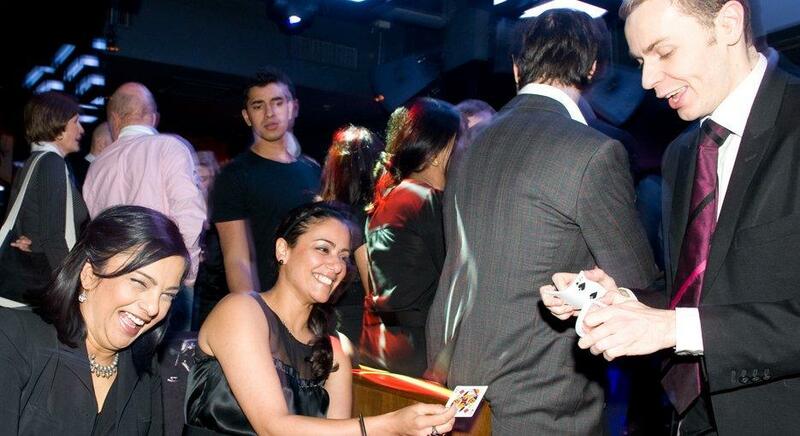 Everything you could want from a magician – entertaining, engaging, brilliantly funny and his magic is mind blowing. 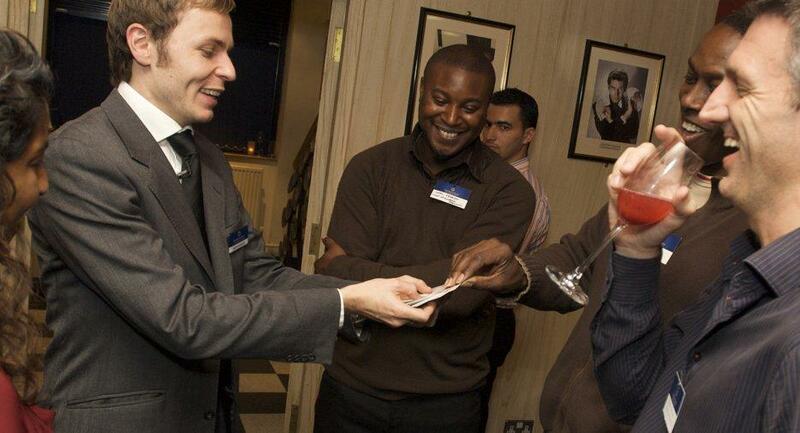 It was a pleasure to have Martyn perform close up magic at our event. His magical performance really added something special to our evening. Just wanted to say thank you very much for Saturday night. You went down a storm. You made a great night for Laura and I even more memorable by being there. All the guests seemed utterly gob-smacked at what they’d seen and I could have sat and watched you all day long. I doubt there are many hands or minds that can do what you do, but the bonus for me, is your obvious charm and wit and character. You often had us all laughing before you’d even offered us a card, so to speak. It might be a while before we have another occasion, but we’d certainly recommend you to anyone who will listen. Thank you so much for entertaining us at our party. You are a great magician and great company. Everyone has been talking about you. We consider ourselves truly lucky to have met you. I hope we can meet again one day. We have had great feedback so please thank Martyn! He was absolutely amazing and everyone have has been talking about him and how good he was. My managing director was thoroughly impressed. Thank you so much. You were absolutely brilliant last night and everybody loved you, thank you very much. Don’t be surprised if I’m calling on you again!! Thanks, again, so much for appearing at my birthday party. You were a big hit! I’ve had a huge amount of positive comments from chums about how you had everyone spellbound with your skills. 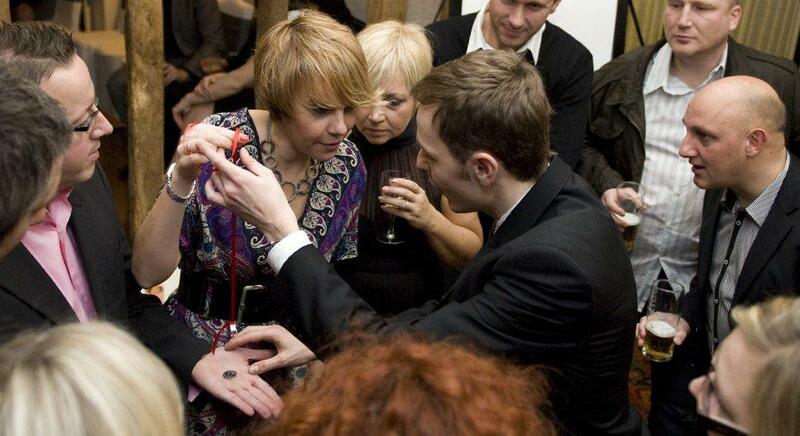 Just a quick note to say how brilliant Martyn the Magician was for our night at Milsoms last week. When the delegates arrived in the Exhibition Hall on Friday morning there was a real buzz in the room from everybody talking about what a good night it was at Milsoms the night before. Not only did Martyn do a great performance but he also pitched it exactly right to the audience and because of this he went down an absolute storm. Not an easy thing to do but he made it look like easy. Please pass on my thanks. I just wanted to say a huge thank you to Martyn and Alison for last night, they were absolutely fantastic. We have had such great feedback about them already, so please pass on my regards to them. The clients really loved the diversity and were really impressed, so thank you! Martyn was excellent, we have received great feedback from our guests about him!! ….just wanted to say that Martyn was brilliant! His magic astounded everyone and he even made sure that all of us that were working at the party that night got to see his magic before he left! Thank you for booking him for us! They were a huge success thanks. The music was just right, the magician and origami artist were excellent and we had lots of positive feedback from our clients.